Minister of Agriculture and Animal Resources, Dr Gerardine Mukeshimana, accompanied by the Ambassador of Japan to Rwanda, H.E Takayuki Miyashita, officiated the inauguration of Rwanda nuts Macadamia Processing Factory that is based in Rusoro Sector, Gasabo District. 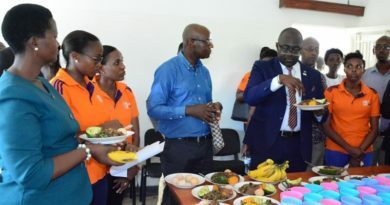 The official inauguration of the factory took place in Rusororo Sector of Gasabo District on March 18, 2019. 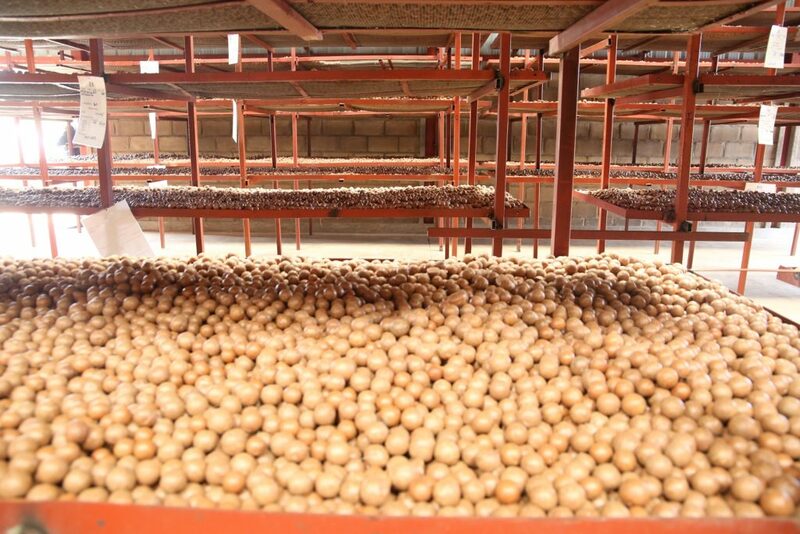 Established by Japanese investors, the new macadamia processing factory, under Rwanda nuts Company Ltd, is installed with capacity to process 1000 Metric Tons of macadamia annually. The factory processes and exports macadamia nuts. Speaking at the inauguration event, Minister Mukeshimana commended the Japanese investors for investing in Rwanda’s agro processing, which, she noted, is line with the government agenda to promote made in Rwanda. 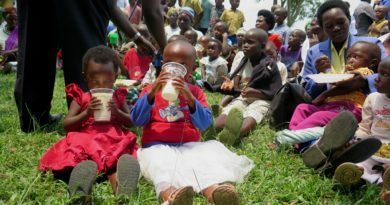 The Ministry of Agriculture and Animal Resources (MINAGRI) has first introduced macadamia in Rwanda in 2004 and this crop has been adopted by farmers from all corners of the Country. Over the last 3 years, exports of macadamia reached 366 MT with the value of close to $2M. There was an increase from 45MT in 2015-16 to 234MT in 2017-18, much of these exports were processed nuts. This was possible with the participation of the private sector. Minister Mukeshimana reiterated the government commitment to facilitate private investment into agriculture and value addition. This supports the Government efforts to reduce what is exported as raw material and promote more value addition in the country to benefit from premium prices offered on international markets on finished products. 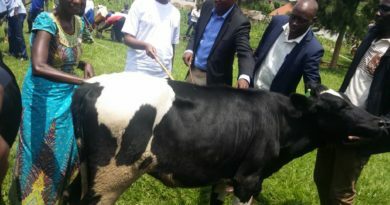 “Being a small country and landlocked, Rwanda will not compete on the international markets with more volumes but with high quality and value added products,” she said. Rwanda considers macadamia as one of the high value crops easy to grow and very productive in terms of yields. The government has rolled out different initiatives to develop macadamia industry as the crop has huge potential to boost the country’s export base.